Do you want to write a book? This is a good place to start. Hynes references a multitude of books from a diversity of genres in order to instruct the listener on how to write modern fiction. I’ll keep this review short because, frankly, there’s not much I can tell about this book. 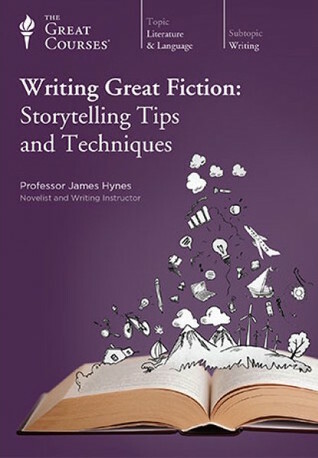 The lecturer provides a lot of succinct information (write a first draft quickly and don’t edit as you go; use a computer, but try to write by hand; don’t base your characters off your friends…) in a very digestible format. I liked the introduction of the Freytag’s pyramid concept. My biggest piece of criticism is that the author references a lot of books I’ve never read before, and some books I’ve never heard of before. This reduced my ability to understand the points he was trying to make because I didn’t fully understand the context of the advice he was giving me.